Two young poets, Jan and Remo, find themselves adrift in Mexico City. Obsessed with poetry, and, above all, with science fiction, they are eager to forge a life in the literary world – or sacrifice themselves to it. Roberto Bolaño’s The Spirit of Science Fiction is a story of youth hungry for revolution, notoriety, and sexual adventure, as they work to construct a reality out of the fragments of their dreams. 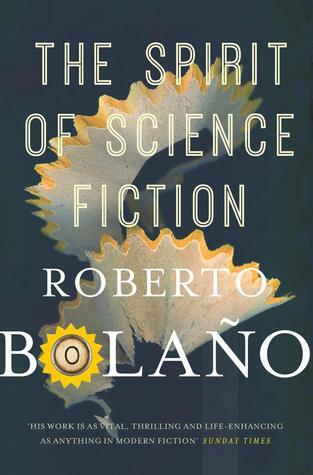 The Spirit of Science Fiction is my first introduction to Roberto Bolano's work, and it is certainly interesting and different. This book is essentially a series of vignettes, following the lives of Jan and Remo as they try to launch their careers as writers in Mexico City. Interspersed between these vignettes are the letters Jan pens to famous science fiction authors and extracts from an esoteric story he is writing. In some ways this makes the book disjointed, in an ethereal sort of way, and it did take me a little while to get into the flow. Once I did, though, I found this a delightful (if bizarre at times) read. There is no standard beginning-middle-end arc, but the story told paints a wonderful snapshot of these young men's lives. Although this is not a book I see myself rereading over and over, I am certainly keen, on the basis of this sample, to try some of Bolano's other works in the future. This won't be for everyone, but readers looking for literary fiction offering something different and intriguing should check it out.